The OWA Mentoring Program has discontinued due to our collaboration with the AIA SF Mentoring Program. Please visit aiasf.org for more information about upcoming mentoring events, including the Mentorship Kickoff and Mentorship Speedmatch that occur at the beginning of each year. Below is a record of the OWA Mentorship Program from 2013-2014. 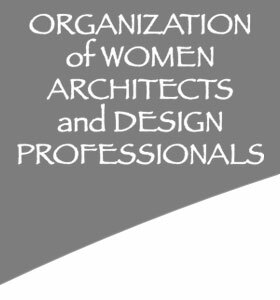 The OWA Mentoring Program is designed to help members take advantage of the diversity that is present within our group from the unique perspective of being women design professionals. Our goal is to create lasting relationships and empower designers with opportunities of furthering career development and maintaining a work/life balance. Any member may choose to be a mentor or a mentee or both. While the program is still being developed, each mentoring relationship is expected to be unique. Each partnership, similar to a big sister/little sister relationship, will set its own goals and timeline. OWA will help to foster the relationship by facilitating the initial meeting questionnaire and pairing the partnerships based on interest, discipline and experience. The 2013-2014 OWA Mentoring Program is a year long commitment spanning from June 2013 to May 2014. It is free for OWA members. To participate in the Mentoring program, your membership must be current. Thank you for your interest! We feel this will be very rewarding and memorable program.